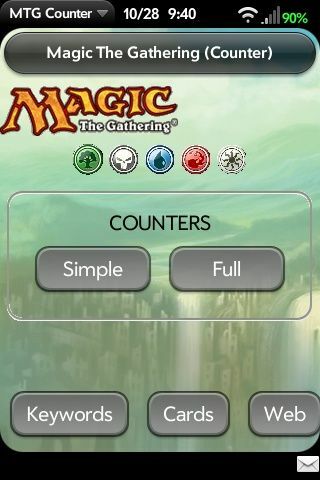 MTG Counter is a life counter app for MAGIC THE GATHERING card playing game. This is just a simple app that helps you keep track of your life as well as other players. The app has a list of Keywords used in the game with corresponding definitions for each. It also has two link buttons One for the Gatherer a Card Database were you can look up a specific card, and one for the main web site. This app has the original simple Counter page as first published or the more advanced version. Where you can add the number of players and track Players Life, Wins, and a poison counter for each player. 0.1.5: Changed start scene to allow the option for the original design or the new dynamic player list. Life counts go to zero (0) now and up to 200.